Fun Fact: Ferruccio Lamborghini was a successful manufacturer of farm tractors when he purchased his first Ferrari 250GT in 1958. When Lamborghini discovered that the clutch on his Ferrari was broken, and was actually the same clutch that he used on his tractors, Lamborghini went to Ferrari and asked for a better replacement. Ferrari responded, saying that he was just a tractor maker, and could not know anything about sports cars. Formed in Spring 2014 the Cortile was one of their first major outings. Automobili Lamborghini S.p.A.,commonly referred to as Lamborghini (pronounced [lamˈborɡini]), is an Italian automaker based in the small township of Sant'Agata Bolognese. The company was founded in 1963 by manufacturing magnate Ferruccio Lamborghini. The story of the automaker begins with Ferruccio Lamborghini, the child of grape farmers from the comune of Renazzo di Cento, Province of Ferrara, in the Emilia-Romagna region of Northern Italy. Lamborghini was drawn to farming machinery rather than the farming lifestyle itself, and studied at the Fratelli Taddia technical institute near Bologna. After returning from World War II, Lamborghini opened a garage in Pieve di Cento. Thanks to his mechanical abilities, he was able to enter the business of building tractors from spare parts and leftover military vehicles. In 1948, Lamborghini founded Lamborghini Trattori S.p.A., and by the mid-1950s, his factory was producing 1000 tractors per year. Lamborghini's increasing wealth allowed him to cultivate an interest in cars that were a far cry from the tiny Fiat Topolinos he had tinkered with in his garage in his spare time. He owned Alfa Romeos and Lancias during the early 1950s, and at one point, had enough cars to use a different one every day of the week, adding a Mercedes-Benz 300SL, a Jaguar E-Type coupé, and two Maserati 3500GTs. In 1958, Lamborghini traveled to Maranello to buy a Ferrari 250GT, a two-seat coupé with a body designed by coachbuilder Pininfarina. He went on to own several more over the years, including a Scaglietti-designed 250 SWB Berlinetta and a 250GT 2+2 four-seater. Lamborghini thought Ferrari's cars were good, but too noisy and rough to be proper road cars, labeling them as repurposed track cars with poorly-built interiors. Most annoyingly, Lamborghini found that Ferrari's cars were equipped with inferior clutches, and he was continuously forced to return to Maranello for clutch rebuilds. Ferrari technicians would take the car away for several hours to make the repairs, not allowing the curious Lamborghini to view the work; he had previously expressed dissatisfaction with Ferrari's aftersales service, which he perceived to be substandard. Frustrated with the recurring nature of the problems, during one particularly long wait, he took the matter up with the company's founder, "Il Commendatore", Enzo Ferrari. What happened next has become the stuff of legend: according to a 1991 Thoroughbred & Classic Cars magazine interview with Lamborghini, he complained to Enzo in "a bit of an argument", telling him that his cars were rubbish; the notoriously pride-filled Modenan was furious, telling the manufacturing tycoon, "Lamborghini, you may be able to drive a tractor, but you will never be able to handle a Ferrari properly." Enzo Ferrari's snubbing of Lamborghini had profound consequences. Lamborghini later said that it was at that point that he got the idea that if Enzo Ferrari, or anyone else, could not build him a perfect car, he might be able to simply make such a car himself. He decided too build his own car with a V12 engine. For the design he found a very talented engineer named Giampaolo Dallara who had previously worked on a Ferrari V12 engine. The new engine had 4 cams, a short stroke and 4 big bore valves per cylinder. It developed a surprising 350 HP. It was an all aluminum engine with a crankshaft supported by seven main bearings. These crankshafts were machined from SAE 9840 steel. The connecting rods (12) were of SAE 4340 steel. The pistons were of forged aluminum. Each pair of camshafts were driven by their own half engine speed sprocket and silent chain. This engine was really the prototype for all future Lamborghini engines. A body designed by Scaglione-Touring was used to house the engine.The Lamborghini "350 GTV" prototype was shown to the public on the Turin Auto Show of 1963. Sales started the following year. The car was called the 350 GT. It was a complete success. Over 130 were sold.The future of Automobili Lamborghini looked very bright during the sixties. The 350 GT was succeeded by the 400 GT and then the 400 GT 2+2. The 350 GT and 400 GT 2+2 made the Lamborghini name known throughout the world. With the funds coming in from these cars and his successful tractor business Ferruccio allowed his engineers to design and construction a new car - the Lamborghini Miura. The Miura made the Lamborghini name legendary. It was a car truly ahead of its time. It shocked even companies like Ferrari and Maserati. Follow The Cortile's board Cortile della Lamborghini on Pinterest. The Lamborghini logo was created taking inspiration from Taurus (bull), the zodiac sign of the founder of the company. Ferruccio Lamborghini’s passion for the bullfighting sport is also reflected in the logo. Most of the Lamborghini car models are named after famous bulls. In the early 1960's Ferruccio Lamborghini spent time with Don Eduardo Muira, a breeder of prized Spanish fighting bulls, at his home in Seville, These almost regal animals had such an effect on Lamborghini that he decided that the logo of his namesake would be a raging bull. 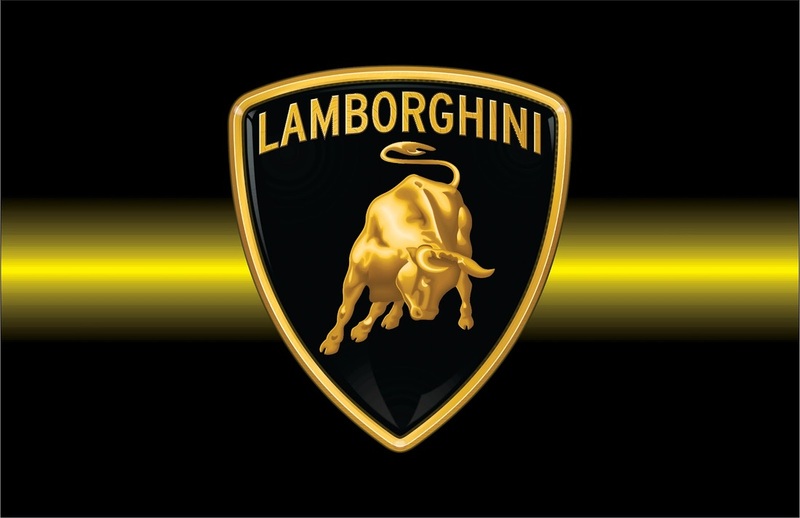 The Lamborghini logo depicts coat of arms and demonstrates a gold snorting bull on the front. The bull represents consistency, power and fortitude. The logo possesses immense recognition globally. 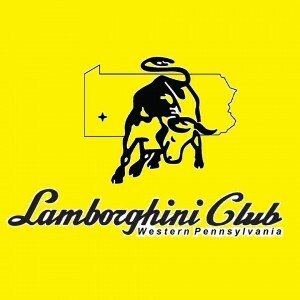 The golden bull with a black background of the Lamborgini logo holds great resemblance to the black horse and yellow background of the Ferrari logo. The resemblance was not merely a coincidence, since Lamborgini has a longstanding enmity with Ferrari.